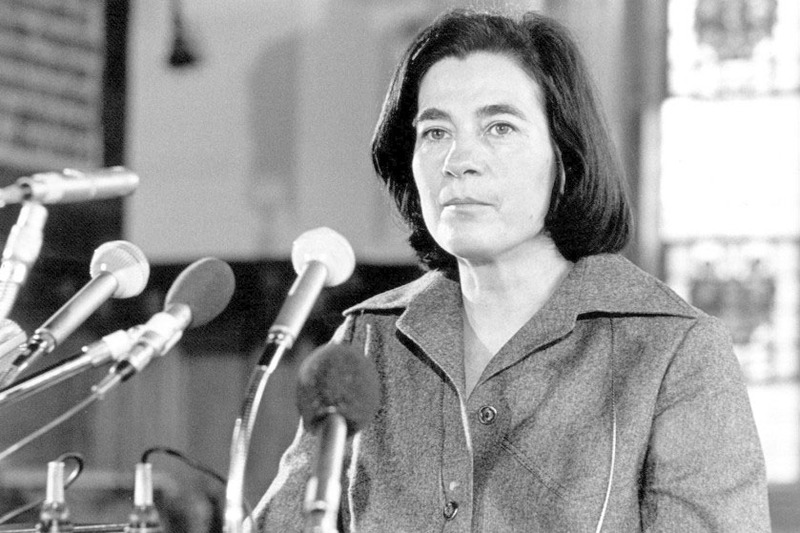 Christa wolf, an East German writer known for her perspectives on power, was for a long time a serious contender for the Nobel prize in literature. Then the East German state ceased to exist in 1990, and the reputation of its most celebrated author also imploded. In 1993 Wolf was revealed to have been an informer for the secret police, the Stasi. Worse, to West German critics, she delayed publishing her own account of being spied upon, a novella written in 1979 and entitled “What Remains”, until the Berlin Wall came down. In her last years Wolf, who died in 2011, was branded an opportunist who not only failed to blow the whistle on a corrupt dictatorship, but enjoyed all the privileges doled out to a “state poet”. Now a brace of new translations—of her first novel, and her last—offer English speakers a more generous reading of her literature and life. An ardent young socialist convinced of culture’s mission to educate, Wolf wrote her first novel in 1963. Originally called “Divided Heaven”, it has now been reissued as “They Divided the Sky”. The difference goes deeper than the title. Luise von Flotow’s faithful new rendering replaces a text that had been badly twisted by a zealous editor who was determined to suppress all straying from the party line. The novel, which catapulted Wolf to fame, tells the story of Manfred and Rita, lovers faced with the decision to stay in the GDR or to escape to the West in the tense months before the building of the Berlin Wall in 1961. The book’s political agenda is clear: Rita, like the author, decides to stay and work for a better society. Yet communist hardliners still condemned the book as decadent; Wolf was accused of portraying industrial workers in a negative light. What is striking in the new restored version is the degree to which Wolf, then still only in her early 30s, was willing to describe her country, warts and all. She does not shy from portraying factory slackers and the blind zeal of party hacks, nor from drawing a convincing portrait of Manfred, whose doubts and frustrations drive him to abandon Rita and his country.